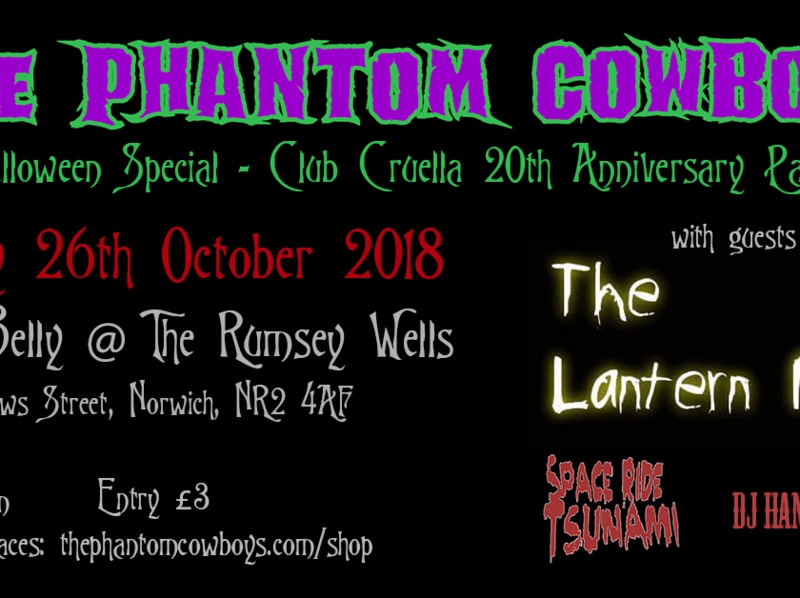 The Phantom Cowboys have announced a gig at The Rumsey Wells in Norwich on Friday 26th October. The gig is to celebrate the 20th anniversary of the release of their debut album ‘ Down & Out At The Club Cruella’. The album is itself is getting a limited vinyl edition re-release to mark the occasion. 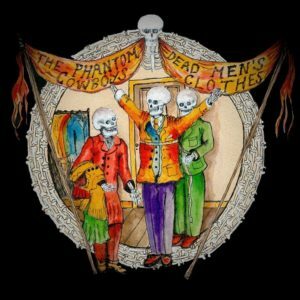 The gig will have a Halloween theme , with guest sets from garage trash-rock’n’rollers The Lantern Men and garage surf duo Space Ride Tsunami. Music will also be provided by DJ Hank jd Sleek. Tickets are £3 and available in advance from our online shop. See the Facebook event page for more details.